Happy Splatoon Day, everyone! With the release of Nintendo's new squid-based cooperative shooter, it only seems appropriate to celebrate by taking a look at some of the great cephalopod video game characters out there. For those who don't know, cephalopods are a class of marine animals which include the octopus, squid, cuttlefish, and nautilus, usually characterized by their tentacles and the ability to shoot ink. I've always had a soft spot for cephalopods; they're strange and mysterious and highly intelligent. In fact, my favorite animal happens to be the giant squid! I'm sure there are plenty of other cephalopod lovers out there, so this article is for you. 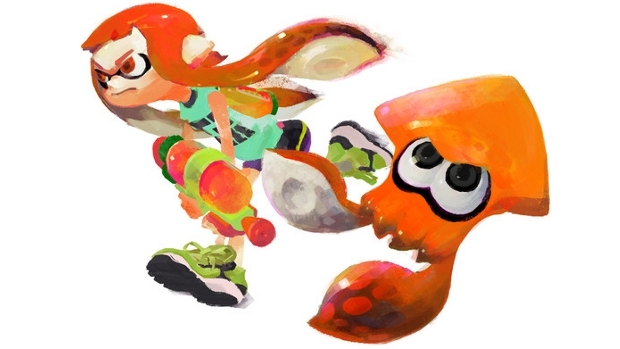 Let's take a look at some of the coolest cephalopods in videogames! Bloopers are the classic squids of gaming. They've been a part of the Super Mario Bros. series ever since the first entry, and have appeared in many different forms, including the Gooper Blooper from Super Mario Sunshine, the Big Blooper from Super Paper Mario, King Calamari from Super Mario RPG, and many more. Blooper was even a playable character once in Mario Party 8. He was the only character I ever played as in that game, of course, but it made me wish Blooper was playable more often. I hope we see him in Mario Kart as a racer sometime, or participating in one of the Mario sports games, or even just appearing as a party member in a Paper Mario game. We need more friendly Bloopers! Oh, Ultros. 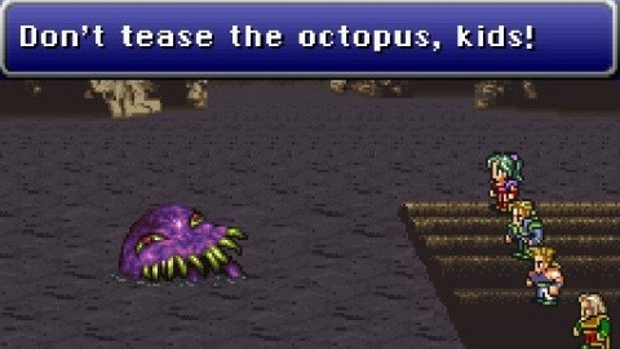 This musclehead-hating, fire-fearing octopus acts as a comic relief boss fight, whom players must battle several times throughout Final Fantasy VI. He'll fight you in the water, on land, in the air, and even on stage during a live opera performance! It's hard to pick a favorite character in Final Fantasy VI, because the cast is so rich and diverse, but Ultros is pretty high up there. The game just wouldn't be the same without him, popping up in the most unexpected places with a big, goofy grin on his face. How can you not love adorable old Uncle Ulty? Another classic video game cephalopod, like the Bloopers. Octoroks are octopus-like enemies from the Zelda series, although unlike real octopuses, they often only have four tentacles and they like to spit rocks instead of ink. Octoroks have undergone some major design changes over the years. 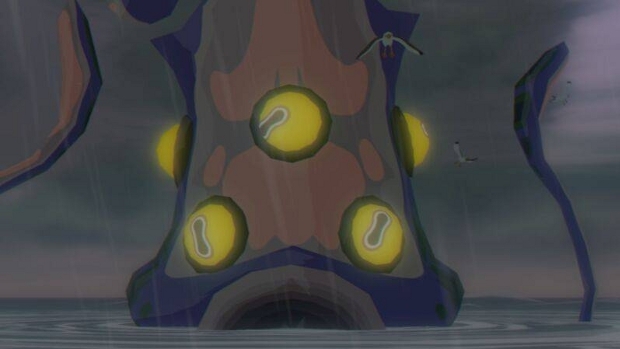 They started out as little round red and blue land-dwelling dudes who barely resembled octopuses, then moved into the water, turned purple, and began to look more like their namesake in Ocarina of Time, and then became more of a giant squid-like enemy in Wind Waker in the form of the Big Octos. The Big Octos are my favorite incarnation; it was always quite a thrill to encounter one in the big open ocean. No matter what they look like, though, you can almost always expect to run into an Octorok at some point during Link's adventures. 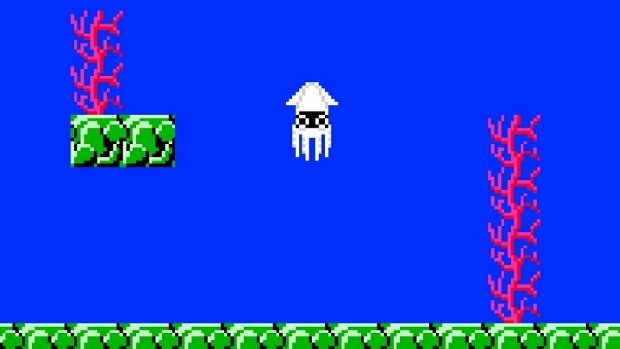 Splatoon isn't the first game where you could play as a squid! 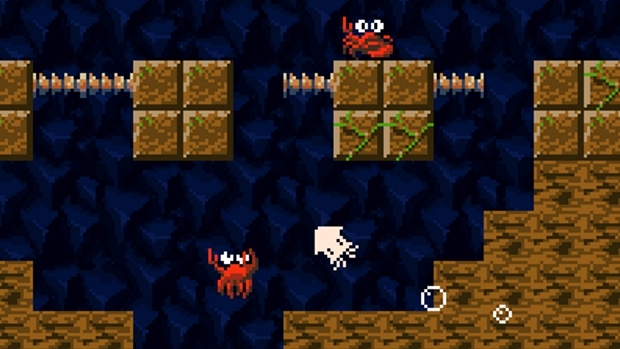 Way back in 2000, Daisuke "Pixel" Amaya released a freeware game called Ikachan, the predecessor to his wildly popular indie game, Cave Story. Ikachan follows the story of the titular hero, a cute little squid on a mission to aid his fellow sea creatures who have been trapped in a cave after a series of earthquakes and are running out of food. It's a rather short game, but it's free and unique enough to be enjoyable. Plus, Ikachan has a little starfish buddy named Ben, so of course I'm gonna like the game! Ikachan actually makes a cameo appearance in Cave Story as well. If players manage to beat Ironhead (another character from Ikachan) in the Waterway without getting hit, a swarm of squid that look just like Ikachan will flood the screen! Ever since the first Animal Crossing game, all I've ever wanted was to have an octopus neighbor move into my town. At first, the only available octopus villager was Octavian, the grumpy red dude. I saw him in a list of possible villagers, and dreamed that one day he'd move in next to me, walking around on land like it's no big deal. But alas, it never happened. I never even saw him visiting in a tent or igloo. 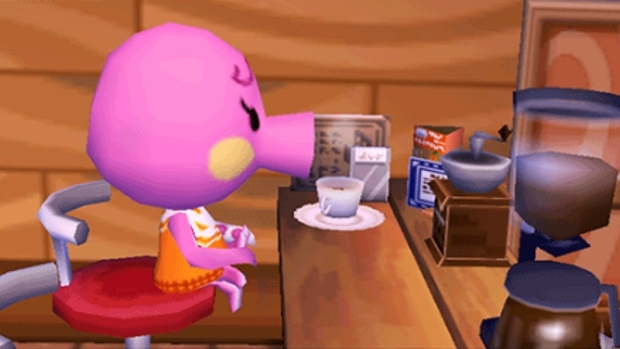 The newer iterations of Animal Crossing have introduced two more octopus neighbors into the mix: Marina, the cute, pink one; and Zucker, the one that looks like a walking takoyaki. While I was playing New Leaf last year, I somehow had one spectacular week where both Octavian AND Marina moved into my town! They're both still there today, and I'm never letting them leave. Now all I need is Zucker, and I'll have the holy trinity of Animal Crossing neighbors! 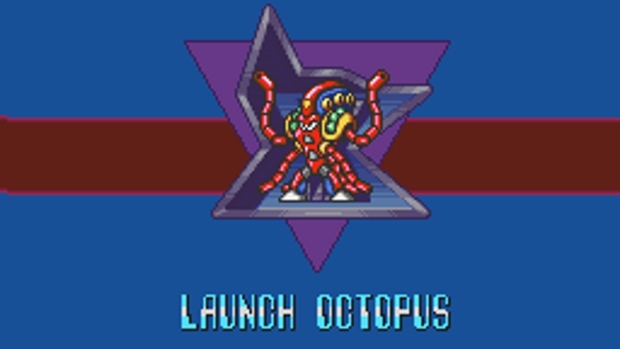 Launch Octopus is the robo-octopus boss from Mega Man X who resides in an underwater military base. He's able to fire homing torpedoes and create huge whirlpools, which can be very dangerous when X is trapped underwater. I also love his opening animation, where he points at X with a tentacle and then points to the ground. "You're goin' down!" There was another cephalopod boss later on in the series in Mega Man X5, who goes by the name of Squid Adler. Unfortunately, I have yet to play X5, but I heard Squid Adler is named after Steven Adler from Guns N' Roses, so that's pretty cool. It reminds me of the Squid Vicious character from the newest Chibi-Robo game. I'm liking this trend of rock star squids. Who's next, Ringo Squid? 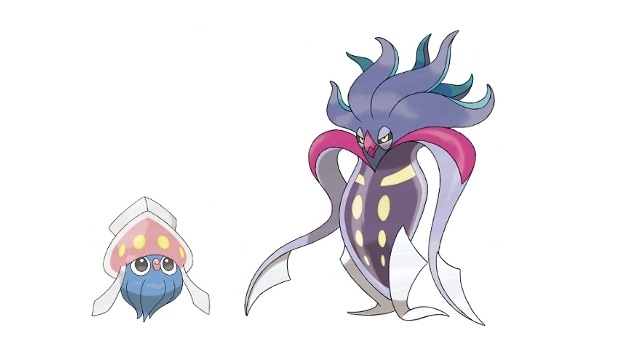 Inkay and Malamar are a pair of squid Pokémon from the newest generation. They're pretty interesting because, while based on aquatic animals, they're actually not water-types and cannot learn any water-type moves (aside from one TM move). Instead, they are Dark/Psychic-types. With special techniques like Topsy-Turvy and Contrary, these squids like to pull the old switcheroo, reversing stat changes on themselves or the enemy. Inkay also has a really weird method of evolving. Players actually have to hold the 3DS upside down while it levels up in order for it to evolve into Malamar. Of course, Inkay and Malamar aren't the only cephalopod Pokémon. There's also Octillery, a pretty cool octopus Pokémon, although I've never understood why it evolves from Remoraid. I mean, remoras and octopuses don't really have anything to do with each other. It would have made more sense for Remoraid to evolve into Mantine or Sharpedo, or just not evolve at all. But I guess Pokémon doesn't really have to make sense biologically, so whatever. They can have a fish evolve into a cephalopod; why not? Hmm... I must have made a mistake. 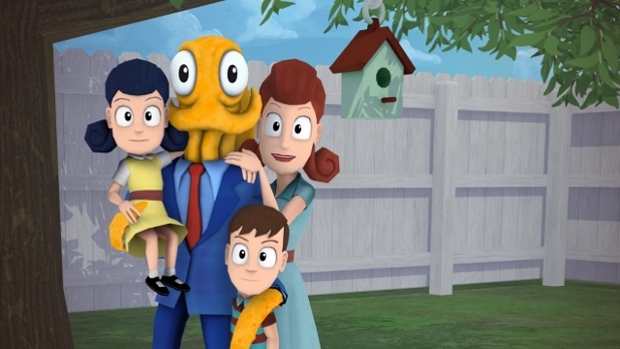 I figured a game called Octodad would be about an octopus, but all I'm seeing here is a normal human dad in a fancy suit standing alongside his beautiful family. How strange. This one's a bit more on the realistic side. 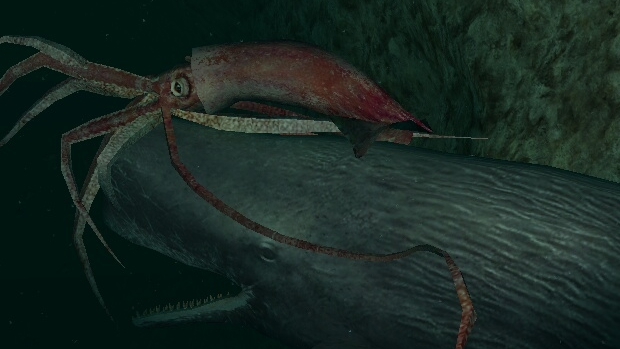 What makes the giant squid in Endless Ocean so exciting for me is the fact that real life giant squids are so incredibly rare that only a few people have ever actually seen one alive. Even though they live on our planet, the chances of actually seeing one are slim to none. So encountering one in Endless Ocean is really as close as I'm ever going to get to meeting my favorite animal. In Endless Ocean: Blue World, players can find the giant squid in a deep ocean crevasse. It blocks the entrance to a cave, threatening to attack, so it has to be lured out by leading a sperm whale (its natural enemy) over to the cave. The squid and the whale then begin an epic fight for survival, right in front of you! Swimming alongside the giant squid in Endless Ocean was such a magical experience for me. I usually went out of my way to visit it, just to watch it float gracefully through the water, propelling itself with its tentacles, staring at me with its huge eyes. It's honestly one of my most cherished video game memories. I've only played about an hour of Splatoon so far, during the Global Testfire, but I can already tell that these squid kids are amazing. I mean, they're humans with squid-like features and the ability to turn into cephalopods at will. How great is that? If I had the ability to transform into any animal in real life, there's a very good chance I would choose to be a squid, just like the Inklings. This game really speaks to me. 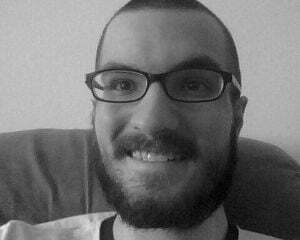 I'm a kid now! I'm a squid now!